We all have at least one role model martial artist that we’d love to get to train with. For some, this dream training is strictly hypothetical (sorry, Bruce Lee fans), but other people get the chance to train with their icons at seminars, tournaments, or events like the Martial Arts SuperShow. Recently, I got the chance to train with someone I greatly admire: Mike Seeklander. Seeklander is the owner of Shooting-Performance LLC, a full-service training company and the American Warrior Society. He’s is also the co-host of The Best Defense, the Outdoor Channel’s leading firearm instructional show. 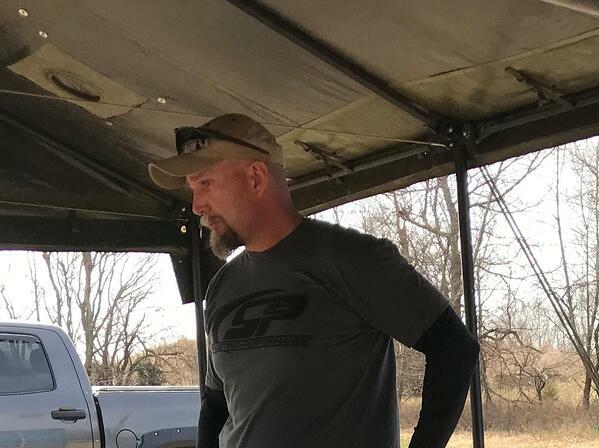 He’s a multi-championship-winning professional shooter, nationally recognized firearms instructor and holds the highest rank, grandmaster, from the United States Practical Shooting Association. Seeklander is also a lifelong martial artist in the traditional sense, holding a black belt in Okinawan Freestyle Karate. As a firearms trainer and martial artist myself, I was eager to take a course from Seeklander. After the course ended, I had the chance to get a quick interview with Seeklander. I wanted his insights on training, tools, and the need to train unarmed martial arts with weapons training (something I am passionate about the need for). I thought I’d share with you the insights I learned, in Seeklander’s own words. 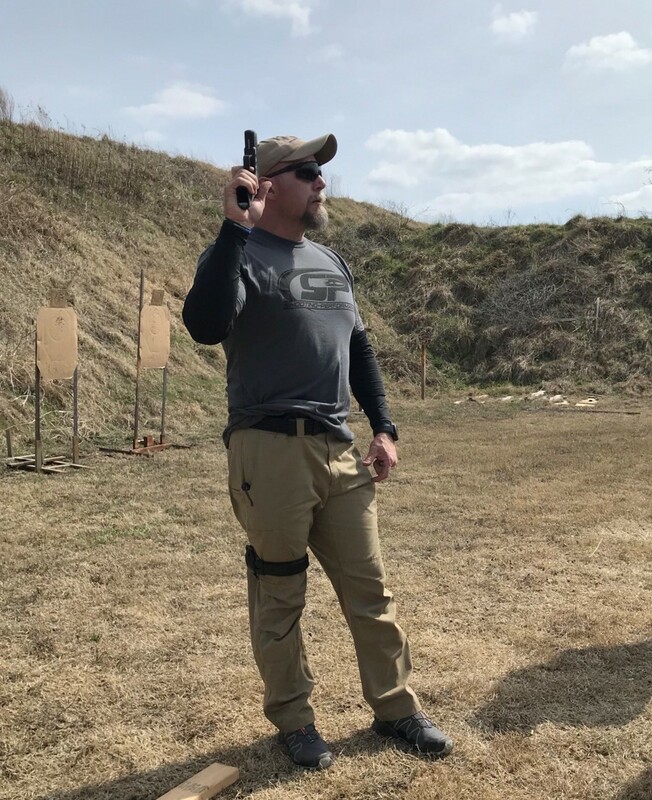 Mario Morris: Mike, in your opinion, how important is it to add unarmed, hand-to-hand combatives to your daily firearm training? Mike Seeklander: Well, defensive combatives, meaning empty-handed stuff, is probably one of the most important skill sets you can have. Honestly, if I were to give the average person a skill set, either train them in firearms…or empty-handed combatives, I’d probably give them empty-handed combatives first. These skills are so much more commonly used and needed in the day-to-day self-defense type situations most people face. If we just teach them firearms, you get the whole, “if you have a hammer, everything looks like a nail” [mindset]. Other than awareness and avoidance, the mentality [that you’ll probably need to use hand-to-hand fighting in an actual scenario] is one of the most important concepts people need to have. MM: You’ve trained in several arts, correct? MS: I’ve done Okinawan freestyle karate, aiki jiu-jitsu and jiu-jitsu. I’ve also done judo, and a couple different other arts. MM: If someone has never trained in a martial art before, should they start with a ground-based art or a striking art, or do you think they can do both simultaneously? MS: I think you can absolutely do them simultaneously. In today’s age, with [the popularity] and the advancement of mixed martial arts, you’re going to be able to find a place to train both Brazilian jiu-jitsu-based grappling skills, a Thai-style kick and knee system, and a boxing-type hand system, where you can learn to strike with empty hands. Brazilian jiu-jitsu, of course, can be used both standing on the ground. I don’t think you can beat that in terms of a cross [of different arts]. If you go to any reputable MMA facility, they’re going to have all of those individual arts there. MM: During training today I mentioned that, after using BOB [XL] for a long time in my classes as a punching bag, we recently tested him out as a shooting target as well. Have you used him for that purpose? MS: Well, actually, this is kind of cool. Before you or anyone else told me that I could shoot BOB, I was already shooting him. I’ve shot BOB on national TV, on The Best Defense in multiple episodes – as a matter of fact, in every season for the last three seasons, I’ve shot BOB. MM: Why do you use BOB as opposed to a paper target? MS: [The biggest reason is that] BOB is a 3D target. He looks realistic. You can also put a T-shirt or a vest and a hat on him, and he looks like a real person. Now, of course, we haven’t just shot BOB. We’ve stabbed him. To have a target, or, I should say, a tool like that, that you can practice striking, shooting, and stabbing – that allows an integration [of self-defense methods] that you can’t do with any other target I’m aware of. I do a lot of live fire, close-quarters training, where I’m striking and shooting, striking with the weapon, moving offline, all that. I think it’s a rare thing to find a tool that allows you to use it for all of that. MM: Do you think BOB is a good target for all levels of training? MS: Absolutely. I especially think any high-level group should have a variety of tools, including BOB. They need to be integrating different stuff. To work a close-quarter rifle skill, you need to have the ability to pull a rifle back and get into a good close-quarters position, but at the same time, you need to understand the dynamic of what throwing a muzzle strike is going to be like, and what it’s going to be like to shoot off a muzzle strike, and then build a shooting position. I think those are all things you can do with BOB. BOB is an awesome tool. Read more about using BOB as a shooting target in this post! 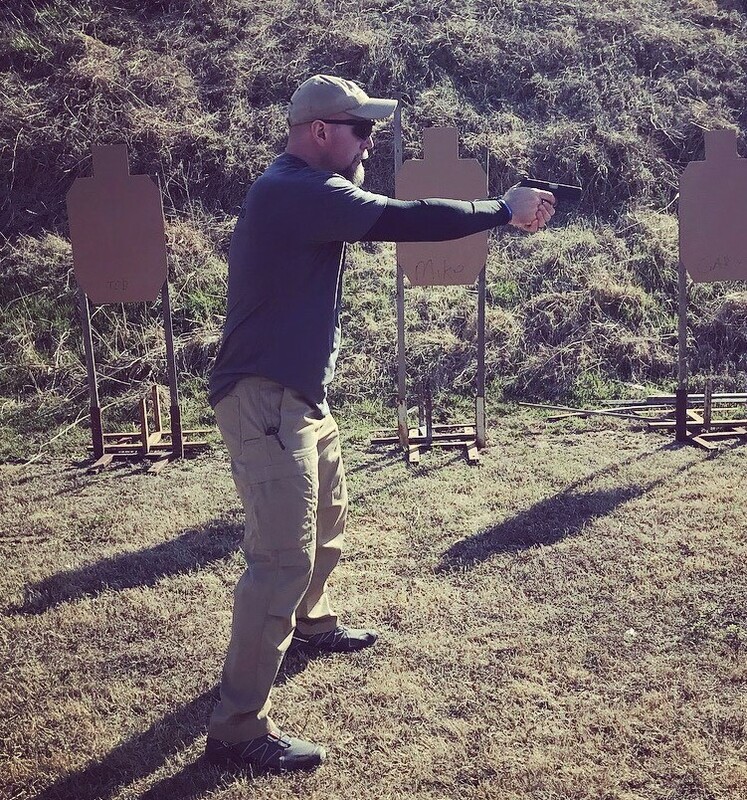 Final note from the author: Defensive training, both empty hand and firearms, is a constant path of learning and progression. Not every gun range will allow you to perform the concepts mentioned; however, the resources are there if you look for them. If you’re serious about being able to train and use a gun for self-defense, your best bet is to find a martial arts school and get the basics of fighting movements down, then look for a training institute that incorporates both. Plus, don't forget to get a BOB XL and other tactical training tools, including training weapons, at !